Is ‘Status Quo’ Perception or Reality? 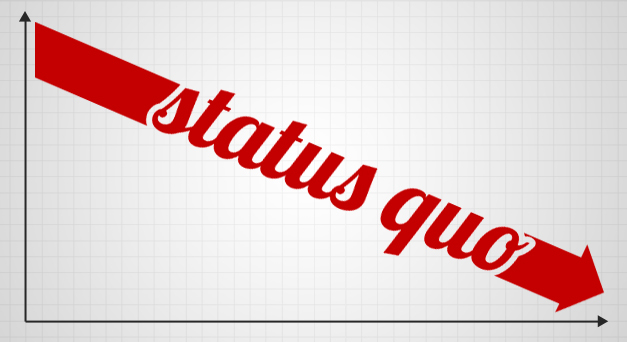 “Status Quo” – The condition we all are describing these days. Whether talking about sales, marketing, innovation or strategy, our aim is always the same…to “disrupt the status quo.” But, this is commonly misunderstood. While my aim for this post will center around salespeople disrupting the customer’s status quo, I believe you will find this relevant in all of its uses. Many of us in the Sales and Marketing community refer to ‘Status Quo’ quite frequently, and I would argue rightfully so. In fact, two of the foremost thought-leaders in this area, from my perspective, are Corporate Visions and CEB as their research and descriptions of the conditions and need for change are quite compelling. When we talk and read about the status quo as our biggest competitor in the context of customers, we can misunderstand what is really meant. There is a tendency to infer that the customer has two choices – stay the same or change. I would like to reframe how we view status quo, and more importantly how we help prospects understand there is no such thing as staying the same. Where this tends to be misunderstood, whether by the sales rep or the prospect, is to treat the status quo as a condition that will likely stay the same unless acted upon. This is a wrong understanding. In fact, the image I used above has it exactly right…Status Quo has a downward trajectory, but is most certainly not level. Consider it from a financial reporting perspective. If you were looking at a P/L statement or Balance Sheet, you would have a snapshot of your business at ‘a particular point in time,’ which describes the existing state of affairs. While there could certainly be some predictive qualities inferred from either of those financial reports, it does not guarantee that doing things the same way will produce the same results. On a side note, this is one of the biggest problems I encounter when working with businesses whose growth has stagnated or declined. They tend to look back to more lucrative times and conditions and subsequently try to repeat what they had once done. This doesn’t work unless all of the other variables that were existent at the time years ago are exactly the same today. As you can imagine, this is rarely the case. Don’t confuse what I am saying with companies that return to the fundamentals. Returning to fundamentals is often a good thing for organizations…provided their fundamentals were appropriate in the first place. I am referring more to organizations that try to recreate their past like the ‘no-longer popular’ college student that desperately tries to recreate his high-school glory days. With the perspective of financial reports not being a guarantee of future results, consider changing your perspective on what you are truly trying to “disrupt” when talking with prospects who are afraid to change. Their perspective is most often one in which they believe what they are doing today is known and has some predictability that will lead to predictable results. Your conversations should help them understand that if they are not currently leading to improvements they were hoping and expecting to see, things will only get worse. You already know that if they are entertaining a conversation with you, that they are not seeing the results they had hoped for. Your proof points should be inserted at this point in your conversational choreography to bring the point home. 86% of buyers said that the rep’s message, what they communicated in a meeting or phone call, had NO commercial impact whatsoever to them. In essence, they came away with the belief that what they are currently doing right now, the Status Quo, is okay and they themselves are okay. How do they know? The Sales Reps led them to believe that was the case because there was nothing to suggest otherwise in their communication. When you speak with prospects, does your communication suggest any reason for change? Jeff Michaels is a Sales & Marketing Executive that has worked with executives, leaders, & teams for 25 years to create repeatable success regardless of industry, economy or circumstance. After two decades of working with individuals, managers and leaders at various levels, I have observed and identified 3 behaviors that lead to intentional, predictable and repeatable results. Practicing these three simple behaviors will put you on the fast track to cultivating confidence. 1. Self-Reflection – We can all get caught up in the activities that our jobs and personal responsibilities require. The tendency during the busyness can be to ‘act’ or ‘react’ without paying attention to whether that was the best course of action to take. Furthermore, because the focus tends to be on the task at hand, one can fail to assess if the action taken is achieving the results originally intended. For this reason, setting some time for intentional, self-reflection can shift your focus back from results, to behaviors that create the results. When a person is more intentional about changing their behaviors to best achieve the results, and evaluates their intention in comparison to the outcome, significant learning takes place that guides your future steps. Self-Reflection = Intentionality. I call this ‘succeeding on purpose.’ When a person intentionally reflects upon behaviors that contributes to the result, and achieves their expected result, the byproduct is greater confidence. 2. Write it down. Documenting your observations…even in the briefest of forms…is the least fun, but most rewarding when you start to see patterns. For example, consider a recent example of a person on a new diet. Everyday, around 2:30 pm, Steve eats a candy bar out of habit. Before documenting his eating habits, Steve was aware that he had a candy bar on many days, but not sure exactly when in the day, how often, or even why he ate candy for that matter. After reflecting on his behaviors and documenting his observations, he recognized that he snacks in between two meetings as a sort of distraction from the next meeting. It wasn’t that he was necessarily hungry after lunch, craving sweets or needing an afternoon pick-me-up. He simply needed a non-work related distraction before his next meeting. Once the pattern was observed, he recognized steps he could take to improve his eating habits by keeping granola bars on hand at that time of day. Even better, he later realized that taking a 10-minute walk outside provided a more healthy distraction before stepping in to his next meeting. You can improve or change that in which you are aware. 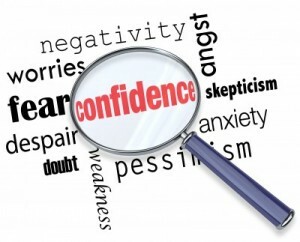 Without awareness, you are just guessing, which is the number one killer of confidence. Self-reflection of your behaviors, followed by documenting your observations, allows you to start seeing patterns, which creates predictability. Documenting = Predictability. Similar to the infrequent golfer who never knows where the ball is going with each swing, so it is with the manager that can’t predict outcomes based on their actions. Just as Babe Ruth used to do in pointing to where he would hit the ball, we too have the ability to accurately predict outcomes. Predictability contributes to confidence. What was supposed to happen? What should be done differently? Who else could benefit from what was learned? A thorough and proper debrief directly contributes to continuous learning and improved results, which enables a leader, individual and/or team to have, and repeat, success in the future. Debriefing = Repeatability. Those that know how to repeat their successes are invaluable to organizations and to others. The ability to intentionally and predictably achieve a successful outcome at will…or repeatably…is an asset every organization would love to have. Think about a meeting you typically schedule for your team. How long do you schedule for the meeting? For sake of discussion, let’s assume it is an hour-long meeting. Is an hour really needed, or is scheduling an hour just a habit in thinking about time in 30-60 minute increments? We have become accustomed to increments of time that are rounded off…and most often, rounded up to greater increments of time. For example, consider human behavior with New Year’s resolutions. While we are accustomed to think habitually in terms of year-long resolutions, when what is really needed are week-long or even day-long resolutions. Why wait a whole year to make adjustments to what didn’t work after a few weeks. Shorten your time increments. Similarly, when we schedule meetings, we tend to look in 60 minute blocks of time, when what really may be needed is 45 minutes or perhaps even 20. This is counter-intuitive, but you will be amazed at how properly prepared attendees that know the meeting time is short, will focus in on the essential decision points. Longer meeting times suggest to the participants, that there is plenty of time, so settle in and pace yourself. To meeting participants – Plan to leave early. For your next scheduled meeting, let the meeting organizer know that you will have to step out [25% of the meeting] early (i.e., leave 45 minutes into an hour-long meeting). I understand this is not possible for all meetings, particularly meetings that your supervisor called. 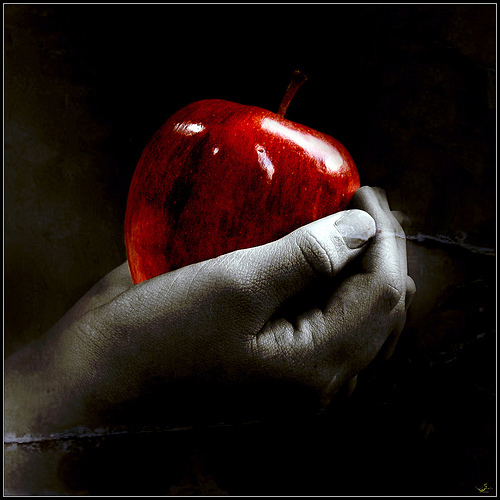 In those instances, what you can do is share the concept you read here. Let them know these methods have increased staff productivity levels in excess of 25%. What supervisor would not be a fan of that? This really works and puts valuable time back in your day, especially when you attend or hold multiple meetings each day. The result? Spend less time talking about what you will do and more time actually doing it. Please share your successes in employing this technique. Also, if you have a favorite way to reduce meeting times…or meetings altogether, we’d love to hear about them. If you are the leader of a struggling division, business unit or team that has solid sales, but have continued to underperform the profitability expectations for multiple periods, this post is for you. There is no doubt that top-line revenue covers a multitude of sins. The problem is that too often this is seen as a good thing…or at least acceptable. These ‘sins’ in business, so to speak, that detract from profitability are analogous to the roots of a young tree that later grows to disrupt the foundation. The foundation, in this case, represents the whole organization. Addressing the root of these problems is always better done earlier, for obvious reasons, as the picture of the tree below perfectly illustrates the implications of letting problems persist. Unfortunately, what happens all too often is that with solid revenue comes the belief that things will correct themselves over time. That increasing the sales will begin to create economies of scale, eventually leading to profitability. Question – When was the last time you saw a profitability issue like this work itself out over time? There are a variety of reasons why a leader may be experiencing solid sales with poor profitability, but I want to address one of the more common reasons I see. This is the ‘sales at any cost’ approach. When this is the case, the inappropriate pursuit of revenue tends to come in one of two forms. The first way revenue is inappropriately pursued comes in the form of aggressive discounts, incentives, and promotions. Unprofitable discounting creates an inflated sense of demand, which bursts the minute the discounts stop. The more inherent problems with this approach, other than increased costs and false demand, is the longer term impact of discounts and incentives lowering the perceived value in your customer’s eyes. The second way that revenue is inappropriately pursued is through disproportionate costs of acquisition and retention, beyond that which is profitable. In these situations, typical strategies include increased marketing campaigns, sales blitzes, additional staff or even the introduction of new products or services on top of an overly burdened cost structure. In some cases, a division may inappropriately pursue both, discount strategies and increased activities. The compounded effect of having lower revenue at higher costs puts the business area on a fast track to what I call ‘divisional bankruptcy.’ Not only is this unsustainable, it is a terrible strategy in general for leading a division to profitability. Now that we have a good handle on some of the problems and why they occur, it is important to determine whether these are your problems are somebody else’s problems. Also important to note is that the conditions described above are not the sole list, but rather representative of the type of conditions that lead to solid sales with poor profitability. Therefore, the following questions will help in determining if you are in a situation requiring a reorganization or turnaround. Were your most recent profit results intended? Comparing performance to plan (PTP) is an important measure. There are times when losses are planned. If so, did you meet the plan? If not, proceed to #2. If your PTP was not intended, do you know specifically what contributed to this? If you answered “no,” stop reading now. Enlist all necessary resources to figure this out. Without this, remediation is impossible. What specific steps do you have in place, to correct the problems? Assuming you answered ‘yes’ for #2, specific SMART goals should be in place with key staff that will correct the profitability shortfalls. How long will the plan take to restore profitability? Remediation should occur within 6 months or less. Be very careful about setting anything longer as too often you are delaying the inevitable. The time to act is now. What is your track record for accurately forecasting corrections? This is an important gut-check. Be honest. If you tend to be overly optimistic, best to confront that now as people are depending on you. After having assessed the cause of the problems and determined next steps, you should have a sense of clarity on whether or not you have a ‘waterline‘ issue or not. 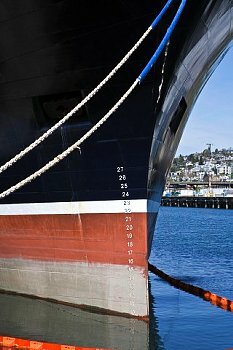 If you have diagnosed your problem to be below the waterline, this is a turnaround. You are now in a dead sprint to correct the problem before your CEO steps in on your behalf to correct the problem simultaneous with your exit. Now that you have properly diagnosed your predicament and are committed to an expedient correction, it is time to act. I have put the steps in the form of an acronym to serve as a virtuous, or repeatable, cycle to follow throughout the recovery. Assess. Pull out the financials along with your sales and marketing metrics to assess where the key profit detractors lie. Don’t fall for only cutting easy, non-essential areas. The allure is that it looks like you took action without disrupting anything too significantly. The problem is that it won’t disrupt anything too significantly. Cut the small stuff, but cut the big stuff first. Remember the tree picture above…address the root issues! Correct. Having identified where to cut, commit to correction through decisive action. These times aren’t easy, so best to communicate lavishly before, during and after the turnaround. Before lets people know what to expect. During to give updates and demonstrate it’s working. After confirms that your actions were worth it. Target. Cuts are important and necessary, but are not the entirety of your action. Time to target key start and stop activities that contribute more quickly to your division’s profitability. Examples include not pursuing unprofitable customers, or to stopping marketing activity that aims to discount its way to profitable growth. As described above, this process is intended to be followed and repeated, assessing and adjusting as you go. If you are entering this process of a turnaround, I would like to offer encouragement as you have demonstrated the two characteristics I described last week – Humility in acknowledging your situation and Courage to address the problems head on. Once you successfully turnaround your division or business area, not only will you have the respect and admiration of your staff and CEO, but this will likely serve as one of the largest confidence booster’s in your career that will serve you well in years to come. As the end of the year approaches, CEOs all over the country have a laser-like focus on performance to ensure a strong year-end finish. While many organizations will achieve their financial objectives, many others will come up short of the results they expected. There is yet a third group in which will not only fall short of expectations, but will turn in another consecutive period of underperformance, with no recovery in sight. While this isn’t indicative of the overall organization, but rather a division or business unit struggling to correct performance issues, this still remains problematic for the organization. For those falling in the unenviable position of this latter group, the CEO’s focus will narrow in on changes that will restore overall organizational health in order to start the New Year off right. If this describes you, you are likely evaluating your next moves. Assuming this is the case, let’s take a closer look at what to do when you have experienced continued declines and are not seeing a recovery in the results. Is a reorganization of your division needed, or is an all out turnaround in order? How you diagnose the problem, and the remedy you prescribe, can either set you on the road to recovery, or lead to further entrenchment in missed results, often worse than before the correction. Without oversimplifying an otherwise complex problem, there are three general conditions that lead an organization, division or business unit to consider a reorganization or turnaround plan. In the ensuing weeks, I will break down the three scenarios more thoroughly, but my primary aim is to provide an overview of the problem. Following are the three general scenarios most commonly experienced by business areas with ongoing, lackluster results. When one of the aforementioned scenarios is experienced, the mistake most commonly made is to misdiagnose the problem and subsequently prescribe a reorganization to a turnaround situation. This usually has disastrous consequences as the characteristics of a turnaround differ significantly from that of a reorganization. In other words, a division in turnaround mode that has poor top and bottom line performance, operates much differently…much more expediently…than one that has been reorganized to bring greater efficiency and effectiveness to the division. When a leader of a failing business area makes a recommendation to reorganize the division/business unit/department to improve the underperformance, failure to meet expectations is nearly inevitable. A reorganization done under the pretense described above just doesn’t work, but you already know this. How? Imagine that you came to me and shared that one of your divisions has a consistent history of declining business performance. Now imagine I say to you, “No problem, simply restructure your division, and this will enable greater growth and profitability.” You would be quick to tell me that 1.) It isn’t that simple, and 2.) You may even tell me that you have already tried this approach, and it didn’t work. Of course, you would be right for both reasons. When dealing with prolonged performance issues in a business area, two leadership qualities are highly beneficial: Courage and Humility. Courage will be needed to make a decision that inevitably will depart from the status quo that you have grown comfortable with. This isn’t to say that you were comfortable with underperformance. Far from it, in fact. The comfort came more in the activity of feeling that you were doing something about the problems, and the ‘activity’ itself served as justification for not having to make the more difficult decisions you feared would be necessary. Humility will also be needed, since the potential is high for you as the business area leader, to feel as if you are conceding defeat to the previous failed approach to correct the problems. 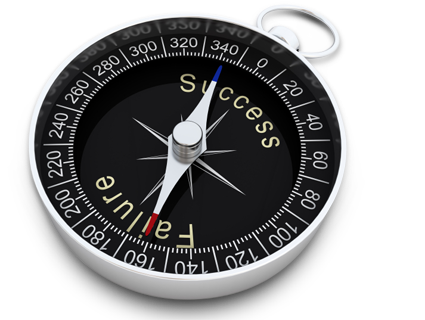 This is often linked with a belief that your leadership may be questioned if you change directions. The reality is that your staff already knows something different is needed. Your leadership is already in question until you are willing to break from the status quo and make meaningful change. Savvy CEOs that have been through this before will be quick to point out that if their division leader approached them with a plan to reorganize in order to solve business performance issues, their confidence in the leader would diminish significantly and likely result in their departure. Why? No matter how reasonable the cost efficiencies and productivity gains may be, this fails to address the root issues of why the division or unit was failing. Therefore, if they cannot accurately assess the root problems, then they are ill-suited to correct them. When this goes unchallenged by the CEO, the result is that poor performance is excused for a period of time while people settle into the newly structured organization. This is short-lived, however as soon comes the day of reckoning where all patience has run out and results are expected. Most CEOs state that they don’t have the luxury of that kind of time and money to wait for better performance. Additionally, they know that this kind of decision puts other areas of the organization at risk, thus putting undue pressures on the stronger performing divisions. Therefore, rather than looking to reorganize to address organizational performance deficiencies, look instead at using reorganizations to address better efficiencies. In other words, a reorganization should not be used to address performance problems, but rather to take good performance and make it great through better alignment. Reorganizations when used appropriately are liberating to the business area as it allows them to achieve their goals more efficiently and effectively. Unfortunately, reorgs have been used irresponsibly over the years for many organizations as cover for reducing headcount and other operating costs. No wonder why staff hate reorganizations. In either case, whether too much cargo is loaded on the ship, or damage happens below the waterline, the whole ship is put in jeopardy. No matter how healthy other areas of the ship may be, damage below the line risks the whole. For example, the ship can have state of the art electronics and navigational equipment in other parts of the ship, but all will be lost when the threat below the waterline isn’t properly handled. The same is true in business. Therefore, when determining how to address a situation in a business area and the choice is between a reorganization or a turnaround, consider where the risks are happening – Are they above or below the waterline? This will bring clarity to your thinking in an instant. Look for Part 2 of the Reorganization or Turnaround series as I address the approach for when a division, business unit or product has solid sales, but poor profitability. 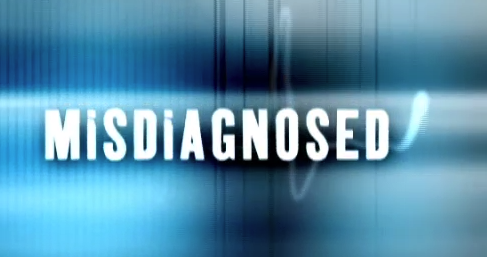 In the medical field, a doctor’s misdiagnosis can prove fatal. Have you ever considered the consequences of misdiagnosing a sales, marketing or business issue? In the metaphorical sense, a wrong diagnosis can prove fatal to your career or business as well. According to the National Patient Safety Foundation (NPSF), misdiagnosis occurs in the medical profession up to 42% of the time. When you consider that doctors, being highly educated and well-trained in their field, still misdiagnose symptoms for 2 out of every 5 patients, how much more susceptible might the everyday sales or business professional be in proffering a wrong diagnosis? Yet for many business professionals, they cavalierly forge ahead with untested hypotheses of their business issue, and a firm course set for remediation. Try to recall a recent business result that fell short of expectations, and subsequently required diagnosing the problem. What was the process you used to identify the problem, and identify a remediation plan? While this is a common approach, the problem is that beginning with the comparison as your starting point for diagnosis is far too late. All you can do at this point is learn for next time…if fortunate enough to have a next time. The second problem is that working backwards from the result only serves to explain symptoms, but not address the root cause. If we want to avoid bad results or avoid repeating bad results, we need to get at the root. HOW DO YOU GET AT THE ROOT? 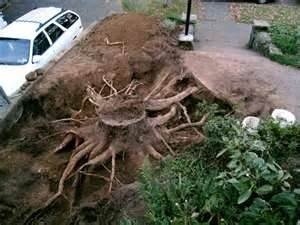 I used to live in a neighborhood where there were a lot of very large, mature trees with roots that would buckle the sidewalks. Imagine a city planner tasked with inspecting the damage and evaluating a remedy for the current problem, to serve as a model for future neighborhoods. Imagine how preposterous it would be if the City Planner recommended a ‘root-redirection’ program when sidewalks started to buckle? In other words, if the proposal was to address the point of the visible problem by digging up the damaged sidewalk, and working to redirect the roots downward, we would laugh at the foolishness of such a plan. Common sense suggests either planting trees farther away from sidewalks or changing the type of tree altogether. Stated differently, we would need to change what we do on the front end to get better results, not work from the point of the buckled sidewalks backwards. Yet, this serves as a picture of how missed expectations are often addressed. A person does a comparison, sees the variance and looks for an explanation to the problem. When taking this approach [from the end rather than the beginning], the tendency is to stop searching once you believe you have reached a conclusion. Those were the words of the German-American physician, Dr. Martin Fischer (1879-1962). Dr. Denis Burkitt said, “Diseases can rarely be eliminated through early diagnosis or good treatment, but prevention can eliminate disease.” Most would agree, prevention is much better than prescription. In order to prevent a career full of missed results, followed by faulty diagnostics leading to more missed results, we need to look at a new process that will enable one to succeed intentionally, predictably and repeatedly. Doing so will prevent a career full of regret. The best way to do so is to have a repeatable structure or process for achieving results, so that you can quickly identify and detect problems early. Do not let the process scare you as this not only is guaranteed to improve your results, but literally only takes 20 minutes/day and increases the success rate significantly. I do steps 1-4 in The First 15 Minutes of each day, and steps 5-6 in the last 5 minutes of each day before I leave. I jot quick notes of my observations for what did and didn’t go as planned and as a result, have a written record of how to repeat success. What steps do you take to create intentional, repeatable and predictable success? Can you guarantee your next hire is an ‘A’ player? Your down a person and need to ensure you bring in a top-notch person to replace your exiting staff member. On a scale of 1 to 10, with 10 representing absolute certainty, what is your confidence level that your next hire will be an ‘A’ player? Have a number in mind? Good, what is it? To be candid, I only see an answer of ‘1’ or ’10’ as being acceptable, not a number in between, as I don’t subscribe to varying levels of confidence. You are either confident or you’re not. Nevertheless, I have continued to ask the question intentionally in scale form because the answers serve as good indicators on how a person sees their role in the process. What I have found is that answering in either of the two aforementioned ways can suggest that they are unintentionally relegating themselves to a victim of circumstance in the hiring process. So back to the question, what was your gut response to your confidence level? If less than 10, do you understand what created that seed of doubt? Perhaps it’s a history of mixed results in your hiring. If that’s the case, it is certainly understandable. Consider the results of two significant studies that had been conducted on success rates in hiring. One study by John Hunter, Ph.D., at Michigan State University, showed that the interview is only 14% accurate in predicting a successful hire. 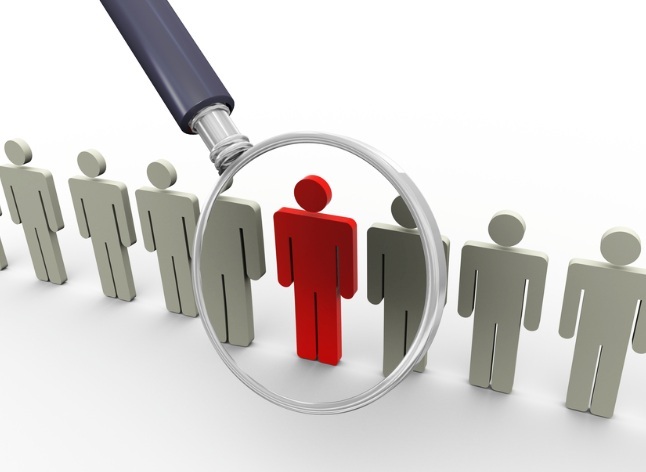 Another study conducted by Harvard University concludes that nearly 80% of turnover is due to mistakes made in hiring. With the odds against you, it stands to reason that to beat the odds, we need to be intentional in how we go about the process of creating repeatable successes in the hiring process. To be clear, there is a lot that goes into excellent hiring, and I do not intend to cover all facets. Instead, I want to provide one specific area that can give you a quick start to immediately beating the odds. No prepared questions in advance. This can suggest more of an ad hoc hiring process and approach and can leave hiring the right candidate to the luck of the draw. For people at this stage, you are likely to find that there is a lot of pressure and stress on you as you are not only scrambling to find a replacement for the exiting staff member, but you have a lot of administrative responsibilities added in addition to opening a job requisition, recruiting, screening, thinking up ‘good interview questions,’ etc. Questions not tied to known business processes.For the person in this second category, this most typically describes the hiring manager who has taken the time to prepare questions in advance. The problem that arises in this category is that while the questions are prepared in advance, they often times are developed with the filter of whatever the exiting person’s inadequacies were. For example, if the person that exited your organization was weak in reporting, the new interview questions will tend to be aimed at screening for reporting. This can distract from the larger issue of whether ‘reporting’ is central to the success of the role or a secondary issue. Another trait for this category is that questions are often crafted from the hiring manager’s perspective of what “good interview questions” are. You may like to ask, “What books have you read lately?” This may be interesting to know, but how does it tie to known processes that you are screening for to get the results you are after? Questions without answers. In this third category, this describes the person that has prepared questions in advance and has even drafted them in such a way that carefully asks about skills in areas known to contribute directly to the results you seek. So where is the problem? The most common problem I see for hiring managers in this area is that while they have specific questions they want to ask, they don’t have specific responses they are looking for. What ends up happening in an interview is a carefully scripted question gets asked of the candidate, and without knowing what a great response would be in advance, all you can do is decide based on a gut feel, if you like their answer and the way they answered. The problem with that is too often style trumps substance, since there was no sense of what the best answer should have been. A final word of encouragement…While the process described above is simple, it is not easy to just whip this out if none of this has been identified. My encouragement is to invest the time now before it’s time to hire. Doing this process simultaneous with trying to rehire for a position is really tough. Perhaps that is the situation for some of you. Be diligent. Most opt out and just stick with the status quo of how they have always screened, interviewed and hired. I have seen this prove costly time and time again for many, highly competent leaders that didn’t invest the time up front to fortify their team with ‘A’ players. One of life’s unfortunate realities is that succeeding once does not mean succeeding always. 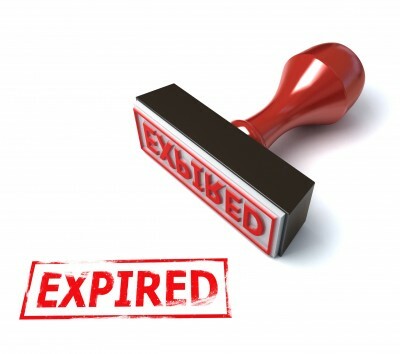 As we are all aware, “success” has a shelf life…or an expiration date, if you will. We all want it, and most work hard to get it…often times with failures along the way, and when we finally achieve the success we were after, we are brought back to the reality that this will not last forever, nor ensure success with our next endeavor. For the repeatedly successful person, that means we have to replenish our successes. The more frequently, the better. Given that this website is dedicated to the creation of intentional, repeatable successes, I am typically less concerned with or enamored by a person’s initial success. I am more curious about what creates repeatable successes. Again, this is not an exhaustive list of characteristics and traits, but rather some of the most common attributes I have observed over the years from all walks of life. This includes both those in which I have worked and consulted as well as those, whose stories have been shared in biographies, autobiographies, or other. What have you observed from those in which you have worked or observed that are intentionally and repeatedly successful? Which attribute is your favorite? Do You Have the Right Decision Strategy? As a business professional who has dedicated my career to identifying the behaviors that create intentional, repeatable results…or what I call Succeeding on Purpose, there is one area I see commonly connected with poor business results. That is in the area of decision strategy. More specifically, this refers to the tendency of professionals to make decisions based upon current, unexpected results they encounter. On the other hand, those that consistently create intentional, repeatable successes expect occasional ‘losses’ and remain committed to their time-tested strategies and processes to guide their decision-making when a loss occurs. Reams of materials have been written correlating successful companies with excellent decision-making processes, so no need to add to the contributions of legends like Jim Collins and Ram Charan. My aim is to provoke thinking around your own decision strategies and test how well they are working for you. One of the key points Tony drives at is that adjusting the bet based on an individual hand is a losing strategy because it is reactive. That type of short-term thinking often compromises longer-term results. Rather, it is better to be disciplined in making the right decision where the odds of winning are more favorable in the long run. What does your decision strategy look like? Not convinced? Consider it from this perspective – Imagine starting an exercise program. You know there are a myriad of exercises that can bring results, but you need to stick to the program in order to see results. If you simply use a mirror, which represents current circumstances and results, as the primary feedback of your results, you will likely react in the wrong ways based on what you see. That is simply because the mirror does not reflect the long-term results of what you are working towards. It merely reflects your present reality, and for many, they don’t like their present day reality. So they react to do something differently, thus disrupting any momentum that may have started to build. How do I know if I have the right decision strategy? As a basic litmus test to know if you have the right strategy, ask yourself this question…When I see things getting off track, how do I respond? If your first response is to review your strategy for misalignment or derailment, that is an excellent sign. On the other hand, if you more typically find yourself reacting to circumstances or unexpected results (e.g., Missed a monthly sales goal, weak marketing campaign response rate, etc. ), without orienting to your strategy to calibrate what you are seeing in your present reality, you may respond prematurely and even inappropriately. For example, I recently saw an organization struggling to recover from sales declines in one of its areas by switching strategies to start offering aggressive discounts to bolster sales for the current month. The results? Cannibalization of future customers. Sales from future months were borrowed for the current month’s performance result. My understanding is that the organization has yet to recover from the short-term decisions made many months earlier. How do you respond when unexpected results occur in your business? 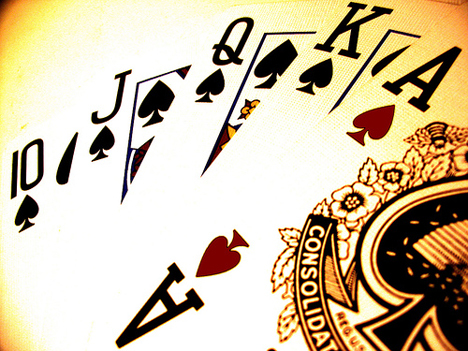 Are you betting based on winning or losing the individual hand, or are you betting on the process that delivers success in the long-term? Articles on this site aim to take best practices and methodologies in Sales, Marketing and Leadership, and distill them down into practical approaches that anyone can follow. Jeff Michaels is an executive-level business leader with experience in sales, marketing, retail operations and manufacturing. His specialty is teaching leaders and teams how to create intentional, predictable, and repeatable success in business.